Families that fish together, stay together! Did you know there are more than 3 million recreational fishers in Australia – men, women and children? In Australia, we have always had a tradition of fishing. But fishing was a male-centric activity, a hobby enjoyed by men. That has changed recently, as more and more Australian families take to recreational fishing. Today, fishing is a popular activity for families on holidays and weekends. It’s a great way to get the kids away from their smartphones, computer or TV and experience the outdoor life. As a parent, teaching your kids fishing is a great way to bond with them, spend some quality family time together, and teach them a thing or two about the environment and responsible fishing. 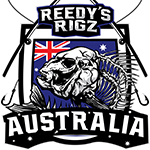 At Reedy’s Rigz, we make high quality fishing equipment for the whole family. Our Pre-Tied Fishing Rigs such as the Reedy’s Ultra Rigz make it possible for new anglers to take to fishing like fish to water! What’s so great about Reedy’s Ultra Rigz? 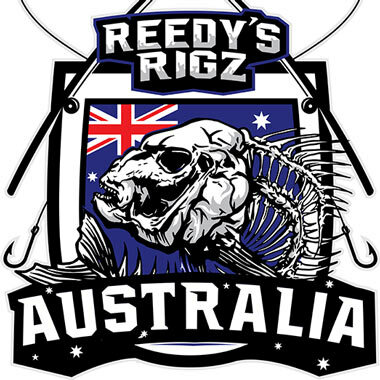 Reedy’s Ultra Rigz are pre-tied fishing rigs tied in the paternoster style. The fact that it comes pre-tied is very important – it saves you from a lot of time and effort. Tying a fishing rig is not easy. In fact, it’s a very complex thing to do. You can check out our video on YouTube on How to Tie a Fishing Rig. You’ll probably need to see the video multiple times, not something you’ll get the first time. Indeed, when you try tying the fishing rigs, it’s like you’ve been trying to tie them forever. So instead of actually spending time on fishing and having fun with your partner and the kids, you’re instead spending all your time on tying the rigs! That’s why you should consider buying our pre tied fishing rigs. 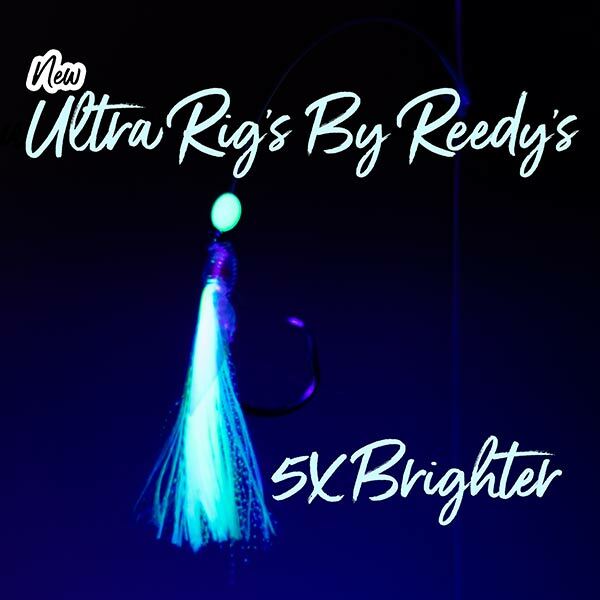 Reedy’s Ultra Rigz are the best pre-tied fishing rigs on the market. Pre-tied means these rigs are already tied, so you don’t need to do anything. Just tie them on to your main line and away you go fishing! As simple as that! 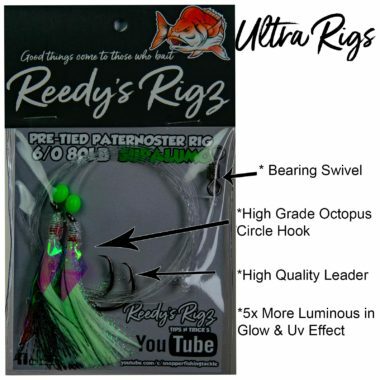 Reedy’s Ultra Rigz saves you from a lot of effort and frees you up so that you can focus on fishing with your kids and enjoying the occasion. 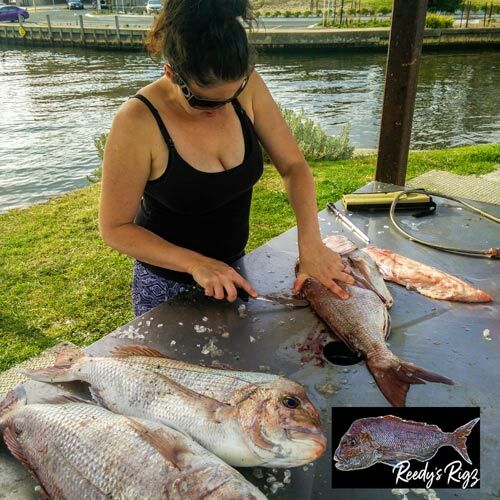 You can catch any type of fish with these rigs such as Snappers, Salmons, Tailors, Gummy Sharks and Mulloways, which are found in abundance in Australian waters. At Reedy’s Rigz, we also make Whitting Rigs and Snapper Rigs, which catch pretty much anything. We are an Australian company and sold only in local Australian tackle shops. We want the money to stay in Australia and we want to do our bit for the local fishing industry, which employs more than 400,000 people. You wouldn’t want the family-owned tackle shops to lose business to large internet behemoths like Amazon, would you? That would be disastrous for Australia’s fishing community. So, why don’t you visit the nearest tackle shop and ask for the Reedy’s Ultra Rigz? Take your kids with you; they will love shopping for new fishing gear and equipment.